28 Strength Training Circuits | Eat, Train, Thrive! 28 Badass Circuits to Keep You Built, Strong, Fit, and Toned All Summer Long! You must reframe your mindset around the all or nothing approach to your workouts and stop sacrificing your training sessions – you can still get it in, look amazing, and enjoy the summer fun, all at the same time! Yes – life is busy…I think we all know that! Whether it’s summer break, the holidays, or one of those crazy weeks we all have, there will always be an excuse not to workout when you are trapped in the all or nothing mindset. 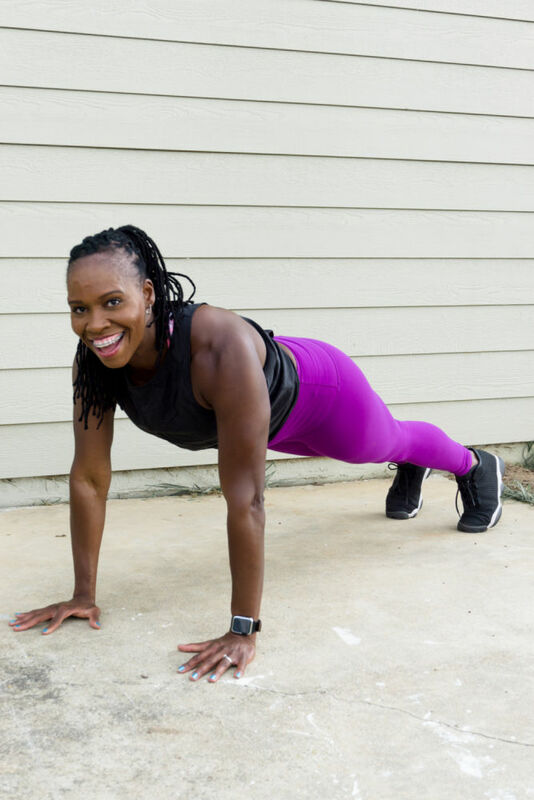 My name is Candace Smith, and I am going to give you a better way with my Summer Slam down – 28 Badass Total Body Strength Training Circuits that will save you time while keeping you fit no matter what’s on your calendar. Are you tired of abandoning your workouts because there’s just not enough time? There is a better way! Whether you’re a mom, a regular lifter, a busy career woman, or you just love short, sweet, and effective workouts — then you will find everything you need with my 28 Badass Total Body Strength Training Circuits! Just because life is busy doesn’t mean you have to sacrifice your workouts, it simply means they need to be adjusted. Ain’t Nobody got time for Marathon Training Sessions when the beach is calling your name. So, instead of spending 1-2 hours training, how about 20-40 minutes max?! Fitness should enhance your Life not Hinder it! When time is of the essence, always remember that Something Is Better Than Nothing! Get time back, literally: Effective and efficient workouts that can be done in 20 minutes right in your home. Intensity is the name of the game! 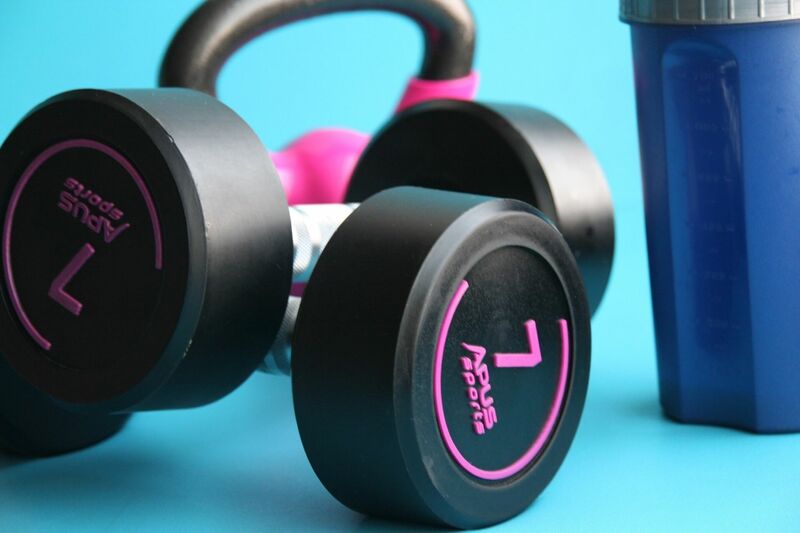 Minimal Equipment: One – two pairs of dumbbells, Kettlebells (dumbbells can be subbed in place of KB’s), Stability Ball or Paper Plates, and a mini resistance band. Add hours back to your day: No driving to the gym, which can take a couple of hours roundtrip or have to find a gym if you are traveling. Cardio and Weights in one workout: A great bang for your buck! Keep your fitness game strong, even when you are super busy! No starting over at the end of the summer. You will be amazed at the effectiveness of consistent, short workouts! Burn fat without slaving away on the treadmill or elliptical. Who has time for that anyway! Boost your energy so that you don’t feel run down and tired. You’ll be able to accomplish so much more throughout the day. Feel amazing in your clothes – you will love getting ready to go out on the town again. Help you build and maintain your muscle, which will help you elevate your metabolism and burn more fat! A WIN WIN!! Consistency: No more giving up your fitness because life is busy. These workouts are effective and efficient in nature, so it’s literally impossible not to fit at least 20 minutes of Strength Training in! 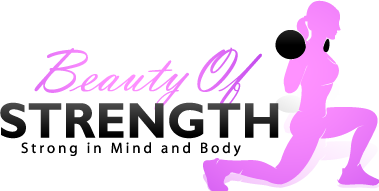 Hi, I’m Candace, CEO of Beauty of Strength. I am a Health Coach and Certified Personal Trainer. I help ambitious women quit the All-or-Nothing Mindset and go to a Fit, Empowered, and Sustainable Lifestyle that enhances their Life. Is 20 minutes enough time for a good workout? Are you on the fence about these short workouts?! I get it; I used to look at short and sweet workouts with a side eye. Like yea right, I needs my hour. Phew, I sure was schooled after giving 20, 30, or even 16 minutes of my time to a Strength-Based Circuit! The best part, I was able to knock out two birds with one stone, because strength and conditioning are all in one workout. No going back and forth to the gym for training and then a cardio session, or spending 1 hour on weights and another hour on the boring treadmill. Not only that, I was able to get results without killing myself in the gym with marathon training sessions. I lost fat, my clothes fit better, and I rekindled my love for working out because the sessions were shorter and more intense. Not only that, the short, intense workouts left me with energy to spare for the rest of my day! No more going thru the motions and dragging myself thru the day. Overall, I built a better outlook on fitness. It enhanced my life, rather than leaving me feeling like I had to kill myself to get results or maintain my fitness. So, yes, 20 minutes is enough time to get a good workout in. When time is of the essence, circuit training is a game changer – you will literally get your life back! The more intense the workout, the shorter the training session has to be! Less rest and more intensity. I love to use Metabolic Effects training system – Push until you can’t and rest until you can go again. Our longer training sessions in do have their place. But sometimes life gets busy, and we don’t want to throw our fitness to the side, so these shorter training sessions keep us in the game and ensure we can maintain our fitness and physique. Not only do they keep us in the game, sometimes they actually improve our fitness game. Sometimes you just need a change of pace to see some improvement. So, what’s inside Summer Slam Down?! Why I created Summer Slam Down Strength Training Circuits?! I’ve worked with so many women who have used this style of workout, and they feel amazing. These workouts give them control of their day and their schedule and allow them to get a great workout in without sacrificing so much time. Not only do they feel amazing physically, but emotionally as well. 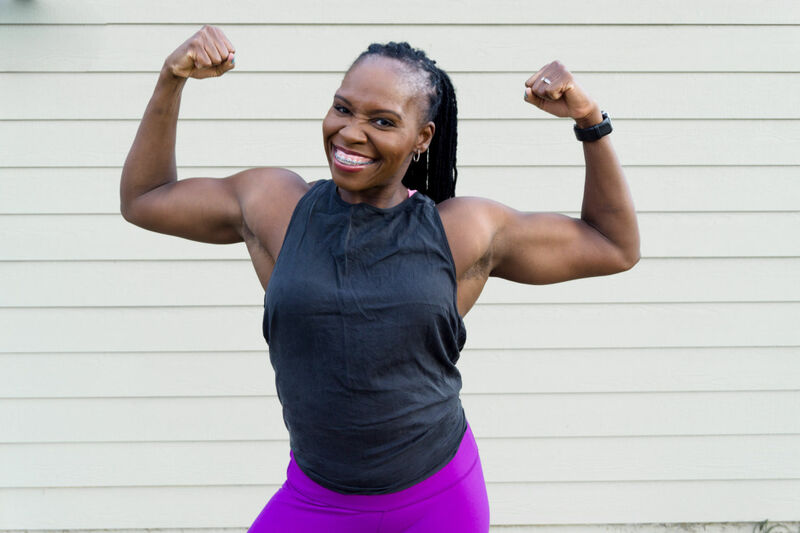 These women are happier because they give to themselves with a sweaty, intense workout session, giving them more joy, allowing them to give to others all day long. Ever heard that you can’t give from an empty vessel? These workouts help you fill your vessel and recharge! Of course, you have a choice. You can keep doing what you used to do. Stop working out altogether and restart when life slows down, but both you and I know, you hate that. And life never slows down. Not for the summer, the holidays, school, or any other season of life. It’s always busy. So you can put your fitness on pause yet again, and restart when life takes a break. Or, you can give this a try and trust what an experienced coach has done for herself and hundreds of clients over the years. Let me tell you, the first option never seems to work out. I’ve seen it time and time again in countless women’s lives. I know a thing or two about fitness, and it is my passion to share it with you. But, you have to click the buy button, and then you have to commit to the workouts. For at least a whole 20-minutes. Let’s be honest here – we all have time for that, right? Click the button below, and immediately your workouts will be sent right to your inbox. I can’t wait to hear how much you are loving these! “Wow, I’m really loving the workouts. I’m really glad for these Summer Slam Down workouts. I’ve been having such a hard time getting back into fitness. I really like the PDF form, it’s easy to read. “Virtual training with Candace has been an amazing experience! I love the flexibility of being able to get an effective workout from home! I no longer have an excuse for not being able to get my lift on. Candace’s approach to a healthy, sustainable lifestyle has been a breath of fresh air! She does not believe in diets, cleanses, quick fixes or extremes. Slow and steady wins the race! In the short 4 weeks, I have been working with her I have lost many inches and become much stronger! Her Summer Slam Down workouts are a great tool to use on the days where I train by myself. They are very easy to follow and include video tutorials on how to perform each exercise if you are unfamiliar with the moves. Summer Slam Down was created for women who love to the lift the things (strength train) but may be short on time due to busy schedules. Life happens, but that doesn’t mean that we have to throw our fitness to the side. If you are familiar with basic movements such as squats, deadlifts, push-ups, rows, and lunges, then you may be a good fit for this program. I do ask that you adjust the exercises, rep schemes, and sets to your fitness level. I preach quality reps over quantity and poor form. No gym is required. Summer Slam Down workouts can be done anywhere. At home or on the road. If you have a gym membership then you will have more lbs of dumbbells to play with, but a gym membership is not necessary. Not a whole lot. At least one pair of dumbbells, at least 10 lbs. A second pair would be great, however, all the workouts can be done with just one pair. If you have a Kettlebell, that’s great too, but a dumbbell will work in place of the Kettlebell. Lastly, either a Stability ball and Furniture sliders or Paper Plates. Is there Coaching for Summer Slam Down? No, there is no formal coaching. Summer Slam Down is a DIY – Do it yourself program. Once you purchase Summer Slam Down, you will be taken to a Thank You page where you will need to opt – in with your First Name and Email. You will then be sent a welcome email from candace@candacersmith.com with your Summer Slam Down Strength Training Circuits. If you don’t receive your welcome email, please check your spam/junk folder.